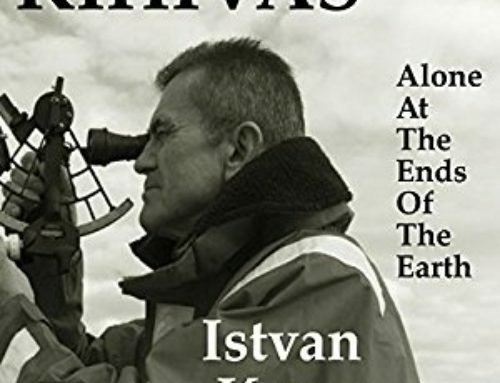 We are very excited to announce that Sailing Magazine has become the first major publication to review Istvan Kopar’s latest book, Kihivas: Alone at the Ends of the Earth. 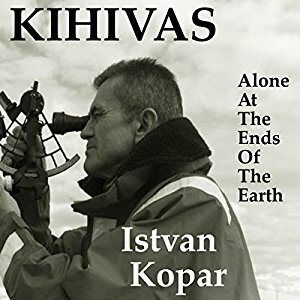 Entitled “A fresh take on an around-the-world saga,” Charlotte Peterson’s review in the magazine’s May issue describes Kihivas as “a mesmerizing tale.” Peterson praises Istvan’s unique voice, beautiful way with words, and attention to detail. 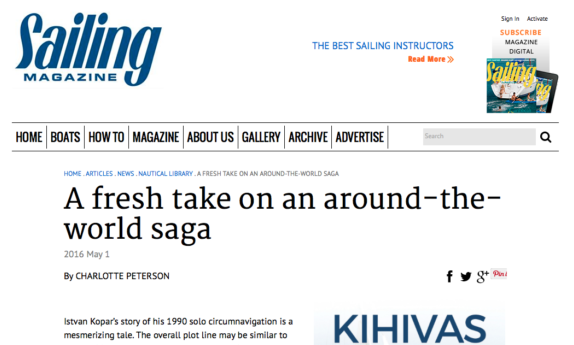 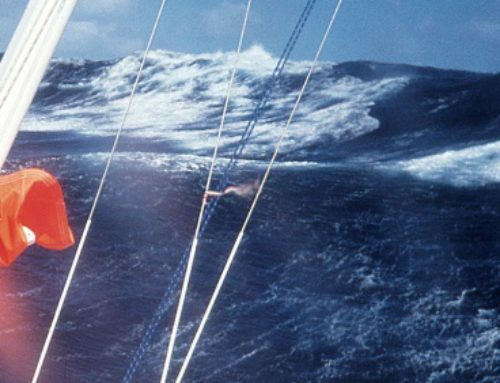 She describes how all of these elements come together to create a sailing adventure tale that stands apart from many others.